In our opinion, ice fishing is one of the best winter pastimes in North America. It sounds boring to a lot of people, but there is more than meets the eye. It's challenging, strategic, rewarding, it's a great way to enjoy a unique outdoor environment, but most importantly, it's fun! That being said, one thing that can really make a difference between and enjoyable outing and a frustrating one is having decent equipment. If you're a recreational ice angler, you don't need the best ice fishing equipment available, but knowing a little more about it and what might suit your needs can go a long way. For example, best ice augers are necessary, ﻿ice fishing rods are quite a bit different than your standard 7' spinning rod, and the accumulation of ice on your guides often makes fishing line for winter conditions a must. Therefore, in this article, we will review the best ice fishing line. Fishing line in any sense is often underrated, but it's crucial in order to have success. After all, it's what connects your bait to your rod! Ice fishing line isn't overly expensive, but given the conditions are quite different from your casual summer stream fishing, it can be helpful to know what type of line offers good value for ice fishing. Our reviews below aren't the only good lines available, but they should offer a great starting point, and all have benefits associated with them. This is your standard, albeit highly effective, ice fishing line that can be used for almost any ice fishing situation. You can get this line in a variety of sizes, but typically are reserved for the lower end of weights, that is, 2-6 lbs. 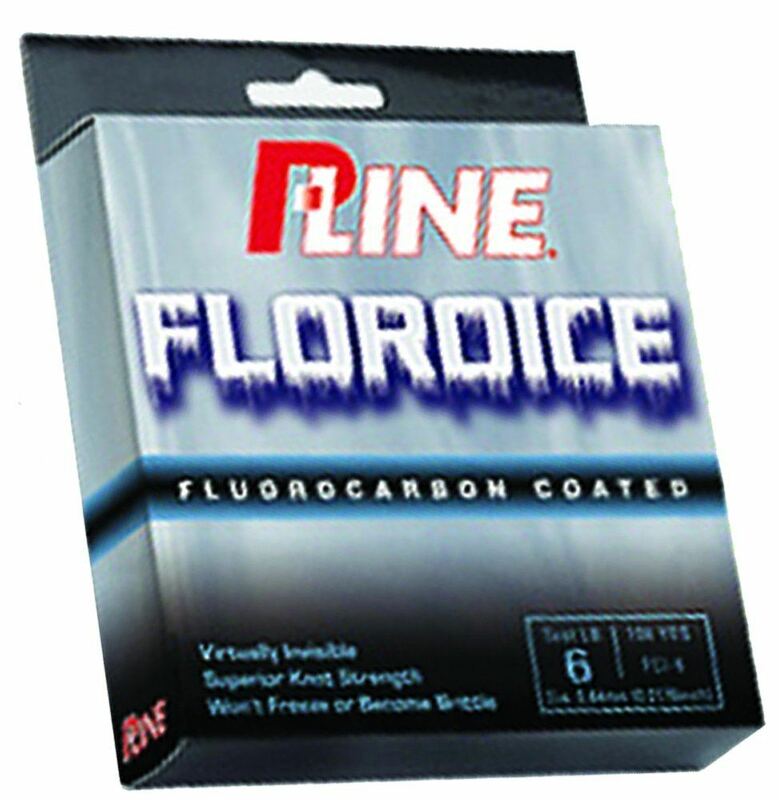 If you've been looking for ice fishing line already, chances are you have seen a lot of other fluorocarbon line as well. Some reasons why ice anglers prefer fluoro line is because of the increased stiffness, at least in terms of longitudinal stretch, which provides increased sensitivity for detection of even the smallest bites, as well as crisp hooksets. Fluoro line is also great for flying under the radar. The line itself matches the refractive index of water, which means that light won't scatter as it passes through the line. The result is that the fish cannot tell the difference between the water and the line, making this a highly natural presentation. Overall, this fluoro line isn't anything fancy, but at an affordable cost, it provides ice anglers with an effective way to drop a line. The main downside is that the line does hold some memory, even though they market it as "low memory". "Low" is relative to some other more standard fluoro line, so as long as you know it won't be like using mono or braid during the summer, you shouldn't have many problems in that regard. At the end of the day, it will be hard to find many other options for ice fluoro at a similar cost. This is another fluoro option for ice anglers looking to maximize the strength and sensitivity of their line. Like most fluorocarbon line, it's nearly invisible in water, as it matches the refractive index, ultimately giving you a presentation that fish cannot detect as unnatural. 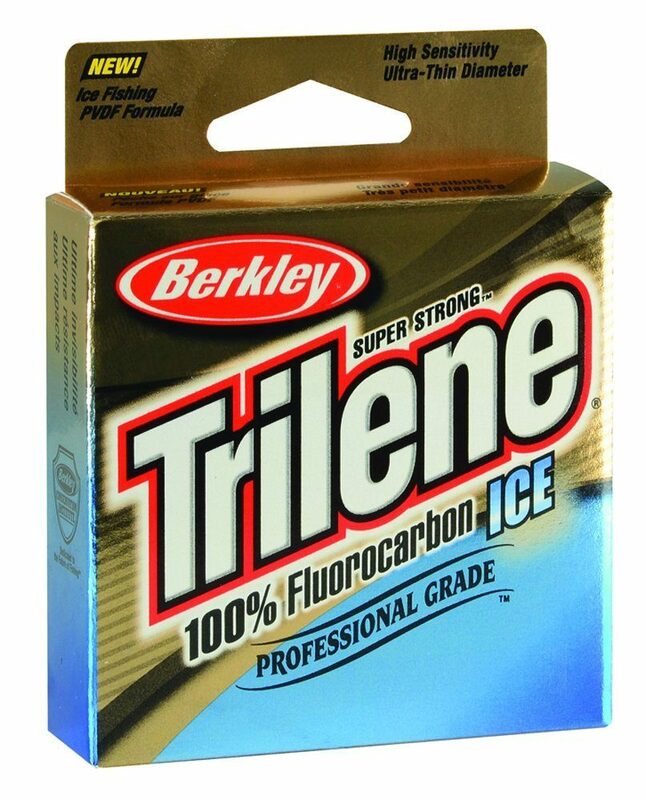 While we listed memory as being a disadvantage, it should be noted that by fluoro standards, the memory it holds is actually pretty low, maybe a bit lower than the Berkley Trilene line we reviewed above. However, where things get a little confusing is that they market this line as being freeze-resistant, and it does hold that capability to some extent. It just seems a little weird that the line will still allow a noticeable amount of water to cling to it, but it doesn't seem to effect the breaking strength, so it shouldn't effect your fishing too much. Overall, the ability of this line to hold a low level of memory (again, by fluoro standards), the invisibility, good breaking strength, and high sensitivity, all make this an appealing option for ice fishing. Stepping away from the fluoro line, this braided is fishing line offers anglers a chance to land (or ice?) a beautiful trophy. The a test strength ranging from 15-50 pounds, you have the means to land many different sizes of underwater sub-zero beasts. This line usually comes in a 50-yard spool, so there isn't a lot of it, but given you're ice fishing and this line is very strong, you likely won't need much, and besides, this line is for tip ups. While this braided line isn't invisible, it's very thin, so it is slightly concealed in that manner, and the lower diameter also allows it to sink quite a bit faster. Don't worry, the smaller diameter still holds a lot of strength, and the high tenacity polyester (HTP) and vinyl coating make this extremely strong and abrasion-resistant. It performs very well in cold water, only holding a little bit of memory and stiffening up a tiny bit. It is also low-stretch, so you maintain a high level of sensitivity and ability to set the hook cleanly. Overall, this is a really nice item for those who are ice fishing for some larger species. While some anglers have used this with a conventional rod and reel, it's meant primarily for tip ups, but we don't consider this a limitation. It does hold a little memory, but for sub-zero temperatures, it performs really well. Why Should You Consider Different Line for Ice Fishing? You don't absolutely need to use a special type of line for ice fishing, but it can certainly help, especially if you plan to be out on the ice a lot. First, cold water temperatures can cause line to stiffen up, but many ice lines won't have the same degree of stiffness. It's hard to avoid completely, but ice line is better for this. Fluorocarbon line is quite popular in ice fishing, as it is a bit stiffer in the sense that it won't stretch much in the direction of its length. This means you have a lot more sensitivity while jigging for bites, and the hookset will be a lot quicker, as you won't lose energy from the line stretching initially. It's also usually thinner in diameter, so you have a bit more control over the lure or bait. It's also very transparent, which is a plus. The main downside to fluoro line is that it tends to hold memory a little more, but advancements in technology have allowed this issue to be addressed a little bit over the past few years. This isn't to say you have to use fluoro line. Many winter anglers also like to use braid, especially when fishing for much larger species like pike in Minnesota. However, if you plan on using braided line for ice fishing, we would suggest looking for something catered to that environment. For example, the braid line that we reviewed above offers a vinyl coating and a type of polyester braid known as HTP, which is great for winter conditions. You don't need to spend a lot on good ice fishing line, but it should be present in your repertoire to some degree if you plan on hitting the ice for some fishing. One of the reasons we say this is purely from a practical sense. If you're taking the time and effort to get all your stuff together, bundle up, and spend the day testing the waters, the last thing you want is to spend that whole day spooling new line or losing lures. All of the lines above are good items, but anything similar should do the trick as well. Good luck! 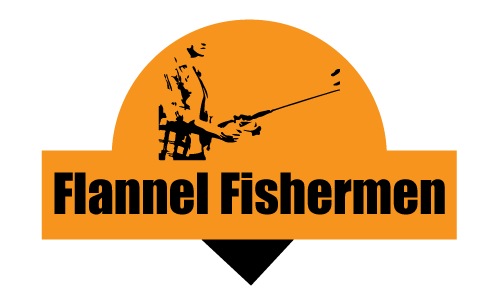 What’s the Best Crankbait Rod? Copyright text 2016 by Flannel Fishermen.